At the end of the wildlife drive, I had a lot of fun seeing where snipe would land and trying to get photos to show how many snipe there actually were. 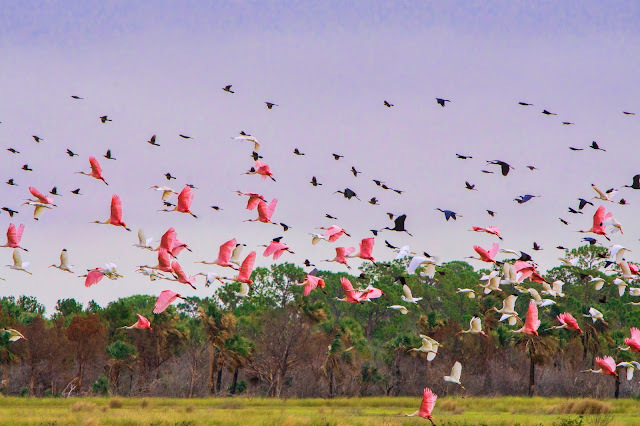 I had never seen more than one at a time before, but today there were flocks, dozens. 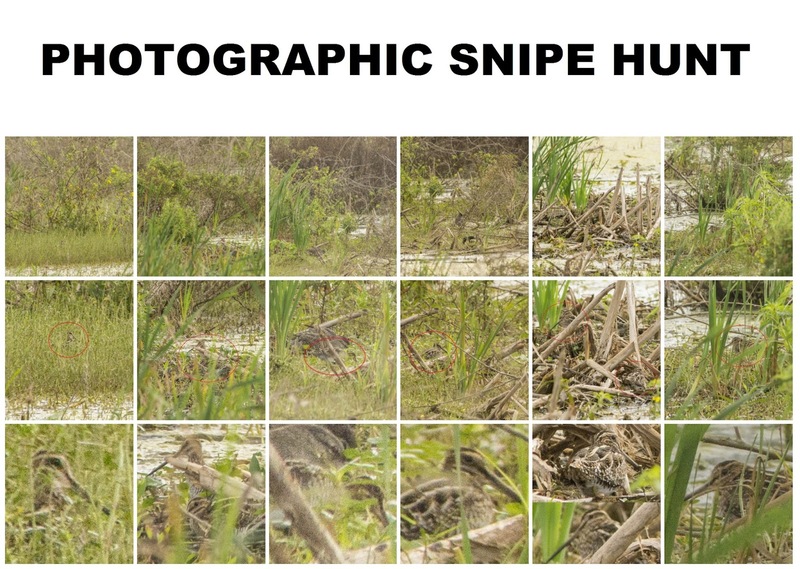 I had to "hunt" for the snipe in my photos by zooming in and made a collage of my efforts for fun. The top row is the photo I took, the middle is where you can start to see the snipe zoomed in, and the third row is the cropped image of the well-camouflaged snipe.